Are you a fan of the Food Network? 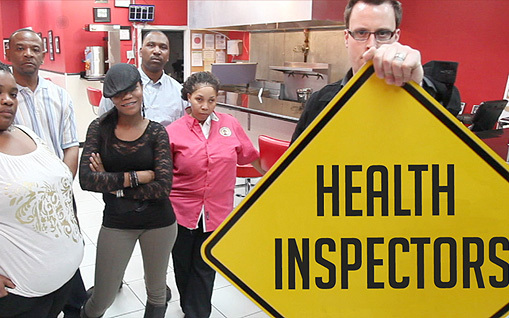 They recently launched a show by the name of Health Inspector’s. It airs Friday nights at 10:30 pm Eastern. The premise of the show is to send in a restaurant professional to help restaurants key in on potential critical violations prior to a health inspection. Not for the faint of heart, the show points out some serious issues in regards to health and safety. Billy Strawter, Sr. was recently featured on an episode of the show titled “A Game of Chicken” as a health inspection consultant. His role was to inspect the restaurant to make sure they had fixed all of the issues pointed out by the shows host. This is a service that Michigan Food Consultant / EnviCare Inc offers to all of our clients. If you’ve been shut down due to critical violations or a failed health inspection, we can help you pin point areas that need fixing. The goal is to put you in a position to succeed. If you have any question about how our service works, please contact us at 989-798-6993.